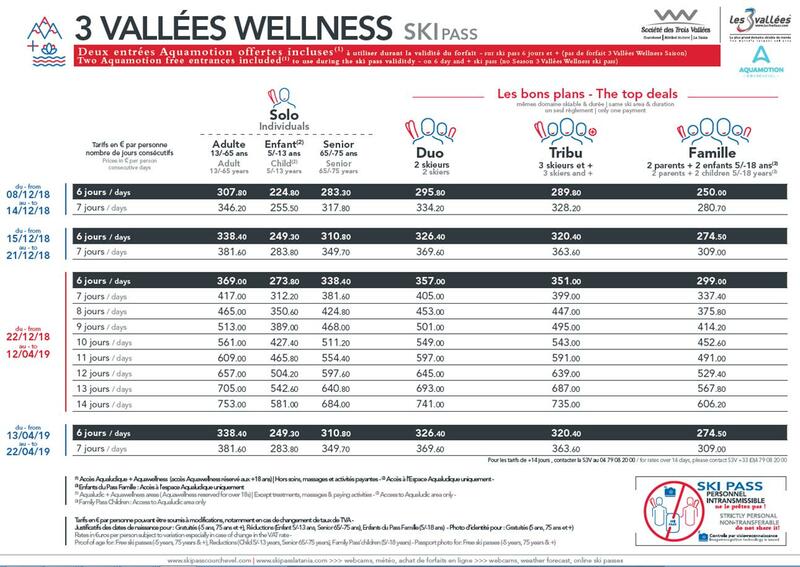 Snow Retreat useful guide to La Tania, Courchevel and Three Valley Lift passes.. 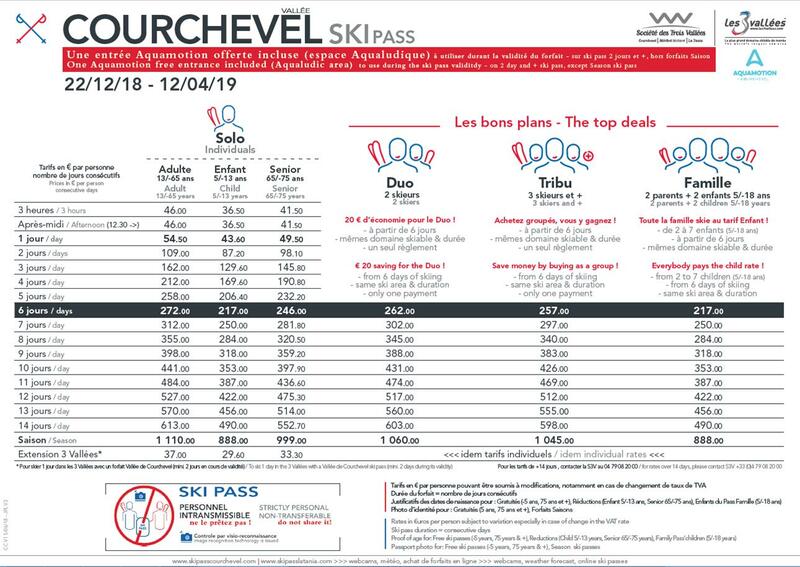 Which lift pass should I choose if I’m a complete beginner? 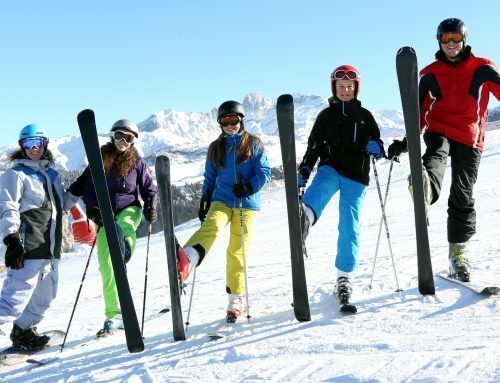 Family, group, senior or individual pass? All prices are correct at time of writing. 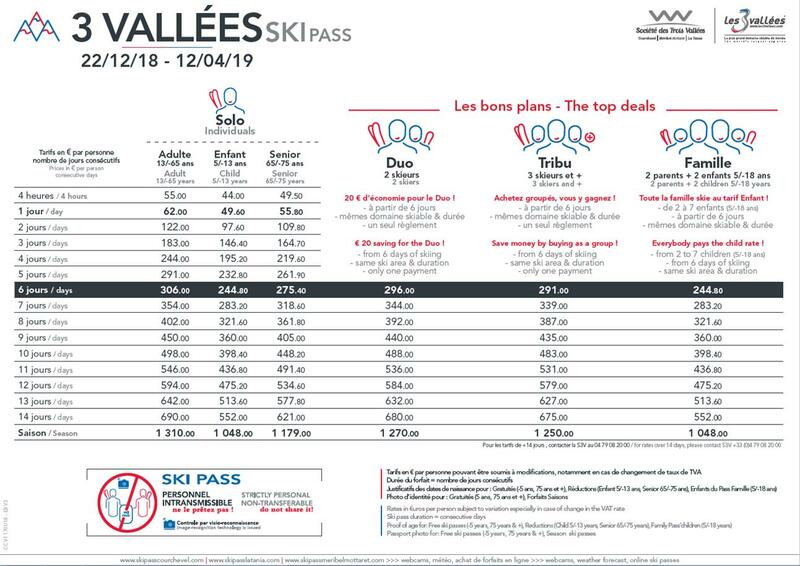 The lift pass company, Societe des Trois Vallees, has the right to change them.